Want to up-sell a training plan to your existing clients? Or want to create exclusive plans that only your existing clients can enrol? We've made it easier than ever to configure training packages for your existing clients, and we're going to walk you through the entire workflow in this article. Filter criteria: The final step is to select who can signup for the training program. 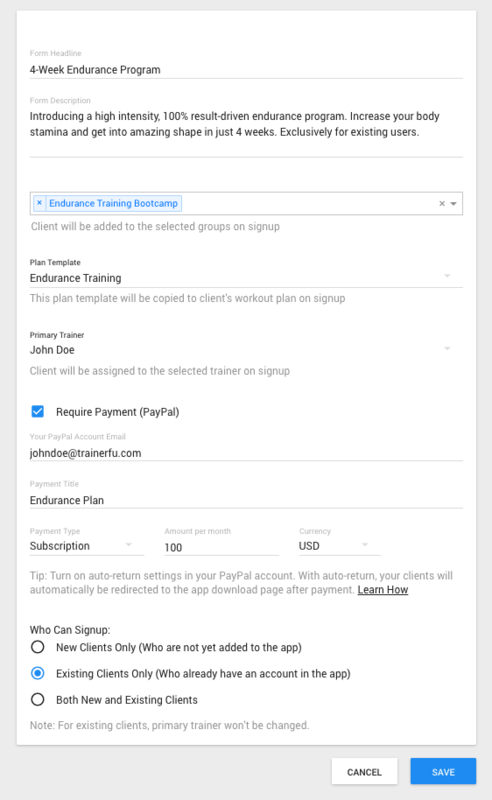 - In this step, you can select "Existing Clients Only", if you want to make this package exclusively available to clients that you've already added to your TrainerFu account. - If you also want to allow new clients to signup for the program, you can select the option "Both New and Existing Clients".